Occasionally I write articles for different Australian art magazines. A couple of years ago I wrote one for “Artist’s Back to Basics” magazine. The quality of the printing was excellent. Woodlands Publishing seems to be an organisation that does things properly. Anyway, they mustn’t have had enough material for their sister magazine’s current issue and they reprinted this article in Issue 11 of “Artist’s Drawing and Inspiration”. I had no idea but it became pretty obvious when I was wandering through my local supermarket and saw my art all over the cover. This is my first full cover on any magazine! 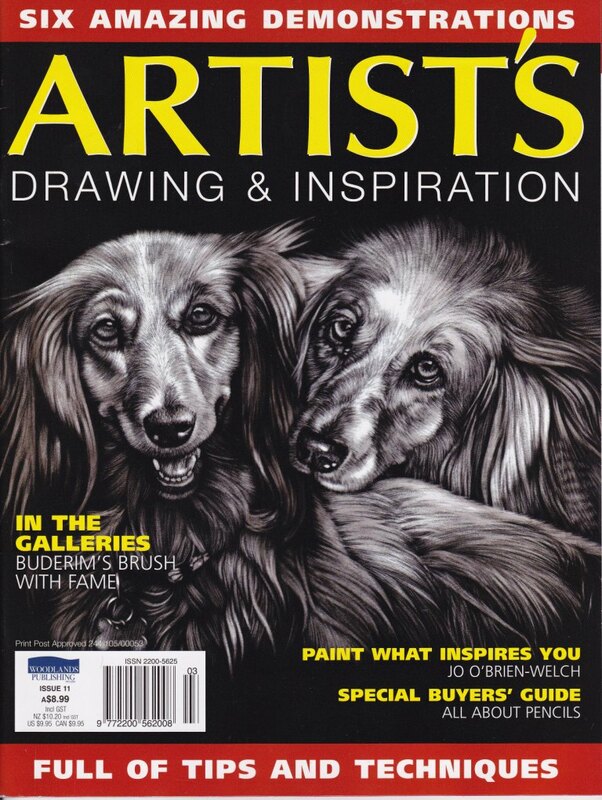 I’d included in the article a section on the formation of The International Society of Scratchboard Artists which talked about how we were organising our first annual show in Glen Ellen, California in 2012. Of course, that’s old news now since that was a roaring success and we’ve since had our second annual show in Vancouver and are setting up our third annual show in Cary, North Carolina for 2014. However, it’s still great to see my work printed again and good to see that they do such an excellent printing job in all their associated magazines. Anyway, here is the cover. It’s not my normal wildlife or portrait art but a commission of gorgeous dogs. 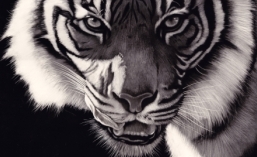 This entry was posted in Scratchboard Blogs. Bookmark the permalink. Congratulations. No one deserves it more!